More South African expats are being tempted to return home by highly skilled jobs especially in engineering, finance, medicine and construction, recruitment experts suggest. Overall more than 400,000 white expat South Africans have returned since many left due to the financial crisis in 2009 for better job prospects and pay abroad. 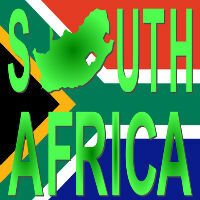 Now data from Statistics South Africa shows that the white population has risen to 4.3 million and many are expats. Indeed, some employment agencies are specifically targeting expat South Africans to fill highly skilled positions as the country has virtually zero unemployment in these sectors, although total unemployment is officially 26%. According to a survey from recruitment and executive search firm Homecoming Revolution, some 53% of Africans want to come home, most of whom return for family and friends. Other reasons include a better quality of life, sense of belonging, jobs and entrepreneurial opportunities. It found that the majority of survey respondents, some 44.6%, were living in the UK, 13% in the United States, 9.3% in Europe, 7% in Australia, 5% in New Zealand, 4.3% in the United Arab Emirates and 3.2% in Canada. The survey asked expats what prevented them from coming home and the main barriers include immigration, especially those who have married abroad and had children. Others included crime, poor infrastructure, the cost of living and racism. It comes at a time when former South African president Thabo Mbeki has backed Homecoming and called on expats to come home and reverse the brain drain. It is estimated that more African scientists work in the US and UK than in Africa and around 20,000 Africans trained in Europe stay there. According to recruitment experts, a growing number of medium sized firms are looking for highly skilled expats and are hiring for projects in Africa and elsewhere, particularly in the construction and engineering sectors. Data also shows that more people are visiting South Africa, with 15.1 million recorded in 2014 of which 9.5 million were on holiday. Most of those from outside of the African continent came from the UK with 401,914 arrivals, followed by 309,255 from the United States, 274,571 from Germany and 131,502 from France. The data also shows that there were 131,287 from the Netherlands, 111,213 from Australia, 85,639 from India, 82,905 from China and 58,605 from Italy.